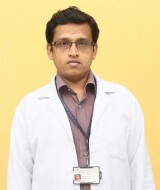 He has completed his under graduate and post graduate in nursing under The Tamil Nadu DR. M.G.R Medical University, Chennai. He awarded Master of Philosophy [MPhil (N)] in Nursing, Manipal College of Nursing, Manipal University, MAHE. He also completed PhD Nursing, in Saveetha University, Chennai 2018. His areas of interest in teaching – Medical surgical nursing, Nursing research, and Statistics. He has also organised and conducted national level work shop and being participated in various CNE programmes, workshop and seminar. Chanda sah, Sasikumar (2018). Effectiveness of Heparin, Glycerin magnesium sulphate and moist heat application on infiltration and extravasation among IV cannulation patients. The Nursing Journal of India. 109(1):12-14. Sasikumar S, Fathima Latheef and R Vijayaraghavan (2017). Effects of mindfulness based stress reduction on blood pressure among type 2 diabetics. The Nursing Journal of India. 108:61-63. (ISSN 0029-6503). Sasikumar S, Fathima Latheef (2017). Correlation between blood glucose and body mass index (BMI) among type 2 diabetics. Int. J. Res. Ayurveda Pharma. 8:97-101. Sasikumar S, Fathima Latheef (2017). Effects of mindfulness based stress reduction (MBSR) on stress, depression and mindfulness among Type 2 Diabetics - A randomized pilot study. Indian Journal of Traditional Knowledge. 16(4):654-659. Sasikumar S, Adiga KR, George A (2014). Effectiveness of mindfulness based stress reduction (MBSR) on stress and anxiety among elderly residing in residential homes. International journal of nursing care. 2:81-85. Sasikumar S, Adiga KR, George A (2014). Impact of mindfulness based stress reduction (MBSR) on depression among elderly residing in residential homes. The nursing journal of India. 105: 4-7. Sasikumar S (2009). Eye care after cataract surgery. Nurses of India. 10:11-12. Sasikumar S(2009). Descriptive research design. Nurses of India. 10:12-14.